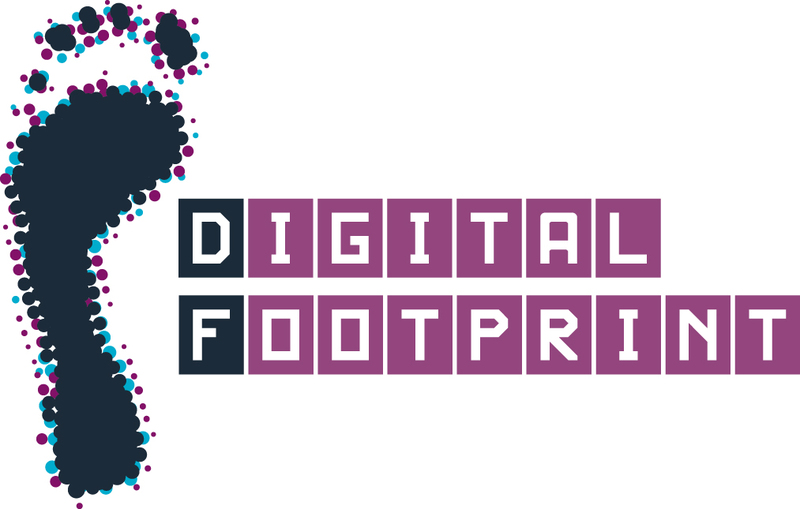 On 29 September 2014 the ‘managing your digital footprint’ campaign launches. The campaign is for all students (UG, PGT, ODL, PhD) and is being led by the Institute for Academic Development in collaboration with EDINA, the Careers Service, EUSA, Information Services, and other University departments. This academic year we will continue to run a ‘bitesize’ series of workshops for PhD students and research staff. These give people the opportunity to attend short, condensed sessions on specific topics such a s presentation skills, without the time commitment of a full day workshop. Most of these ‘bitesize’ workshops are 2-3 hours long, and we are trialling some with an early start time (8.30am), to allow people to attend a workshop and then still have almost a full day in the office or lab. The International COMPASS programme is a series of workshops and events for international postgraduates studying in Scotland. This is a 5 week course delivered entirely on-line within Learn (the University’s virtual learning environment, VLE). It will introduce students to the basic principles of statistical thinking (statistical inference) and one or two of the most common types of analysis that might be needed for Masters or PhD research projects. It is aimed mainly at students undertaking projects (at either level) in the College of Medicine & Veterinary Medicine (particularly in lab-based subjects), but it may be of more general use, too – we welcome participants from any discipline, although the examples used will tend to reflect the instructors’ backgrounds in clinical research, public health and veterinary medicine. The principles taught, however, are universal! Each week, participants will use resources such as recorded PowerPoint presentations, quizzes, and directed reading to investigate a topic, and will try some practical examples in Minitab, a statistical package available on the University’s Managed Desktop and in general-access computing facilities. Support is available through discussion boards that allow queries on specific points, as well as more general interaction with the course team. The course runs asynchronously – participants work on course material and exercises in their own time, and interact via the discussion boards when required. This is a 5 week course delivered entirely on-line within Learn (the University’s virtual learning environment, VLE). It will build on the material covered in the Level 1 course to describe a number of useful principles and methods of analysis that are commonly needed for Masters or PhD research projects. Participants should either have completed Introductory Statistics for Life Scientists – Level 1 or be familiar with the basic ideas of the statistical approach, confidence intervals, hypothesis testing and so on. It is aimed mainly at student undertaking projects (at either level) in the College of Medicine & Veterinary Medicine (particularly in lab-based subjects), but it may be of more general use, too – we welcome participants from any discipline, although the examples used will tend to reflect the instructors background in clinical research, public health and veterinary medicine. The principles taught, however, are universal! Each week, participants will use resources such as recorded PowerPoint presentations, quizzes, and directed reading to investigate a topic, and try some practical examples in Minitab, a statistical package available on the University’s Managed Desktop and in general-access computing facilities. Support is available through discussion boards that allow queries on specific points, as well as more general interaction with the course team. The course runs asynchronously – participants work on course material and exercises in their own time, and interact via the discussion boards when required. This is an opportunity to discuss your research one-to-one with an experienced medical statistician during a 45 minute slot. Please bring along your queries about your study design or data. Each student will be allocated a 45 minute slot. A half-day workshop for doctoral research students to discuss their research projects and data analysis needs. Led by an experienced medical statistician, the session will provide an opportunity for up to 5 participants to present a brief (5 minute) summary of their work, and then to lead a discussion of the statistical issues raised. Each participant presenting should take away some ideas for the most appropriate and robust statistical methods that they should employ in their projects subsequently. There will also be room for up to 10 non-presenting participants – they will be very welcome to observe and to take part in discussions and may take away some valuable insights of their own. The workshop is intended to provide support to students from the College of Medicine and Veterinary Medicine who are carrying out research in medical or biomedical areas. However, students from other disciplines/ colleges may find something of value too, as many of the general issues remain the same regardless of research topic. We would be very happy for non-CMVM students to participate. The Careers Service delivers a number of workshops for PhD researchers. Each session runs in both semesters, you can find details of forthcoming sessions below. The Myers-Briggs Type Indicator (MBTI) is a widely-used, self-report personality questionnaire, designed to assist in understanding personal style and preferences. This workshop will increase your self-awareness and help you communicate and work more effectively with others. The objectives of this session are for you to understand the basic MBTI framework and the concept of ‘type’, have an increased understanding of individual differences, and have increased self-understanding, which can be used to inform career planning and development. Open to any PhD researchers who are considering a career in academia. Do you know what it takes to be successful in the competitive world of academia? What do you have to offer that will make you stand out from the crowd? This interactive workshop will help you to answer these questions and encourage you to take control of your academic future. What’s the best way to identify suitable job openings? How can you market yourself effectively to an academic employer? This interactive workshop will help you to answer these questions and encourage you to take control of your academic future. Reviewing your career – what else can I do? 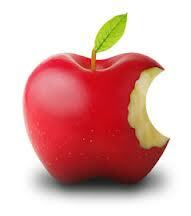 Careers are constantly evolving and developing as opportunities and priorities change. Reviewing Your Career provides a means to review where you’re at and where you want to be. This course will help you to identify and assess your skills and priorities, generate career options, and identify sources of information and support to move forward. Postgraduate study develops a huge range of skills and experience, valued by employers across every sector. Getting the right message across to a potential employer on paper and at interview is vital. This session looks at making sure you market yourself effectively, through CVs, application forms and at interview. This session will introduce a model of career management and will focus on aspects relating to career decision making. You will be provided with an opportunity to reflect on your career to date and to consider your personal skills, values, interests and preferred work styles. Through the process of reflection you should be able to start to identify your own priorities for future career development before exploring different methods of generating and researching career ideas. This session will focus on implementing career decisions. You will have the opportunity to consider how organisations recruit new staff and how you can locate suitable career opportunities including ways of tapping into the ‘hidden job market’. This session will also explore the selection process and the range of assessment tools used by employers and will help you prepare to market. There is a strong emphasis on group work, requiring an open mind and a willingness to get stuck in. There is a significant distance-learning element to the course three weeks before you arrive. Think carefully before signing up to this workshop. You will be required to complete around five hours’ worth of pre-planning online. This will be in a group structure meaning that it will not be possible to opt out of the course once the pre-workshop tuition is underway in September. Please note that this is a 3 day course and participation at all parts is required. The main course venue is City of Edinburgh Methodist Church, 25 Nicolson Square, Edinburgh but the final part (Saturday 4th October) will be held at BBC’s Pacific Quay Glasgow headquarters. Please note that transportation will not be provided to the BBC Studios in Glasgow, participants will need to make their own way there. Do you have entrepreneurial ambitions or a desire to develop your career in a business environment? If so then the IAD’s business and enterprise training may be of interest . . . The institute for Academic Development are running a series of business and enterprise training workshops. These workshops provide training and support to students and staff, helping them to develop the skills to start their own business or enhance their career options. Many attend the programme to gain the skills required to be enterprising academics, or to stand out at interviews with large organisations. Others know they wish to work in a start-up and are seeking specific enterprise skills. Whatever your motivation, the business skills you develop will be of value in your research and beyond. Topics such as finance, PR, business teams, digital marketing, business plans and much more are available, and with the workshops running over the 2 semesters, you can chose to attend all the workshops or just individual ones. The programme starts off with the workshop: ‘Think like an artist: the creative entrepreneur’ to get your creativity flowing! Another aim of the courses is to allow students and staff to build their business networks and, as part of this, the half-day workshops are delivered by experienced staff who can provide experience of working in the business environment and provide advice on establishing a business. Not only is the training and support on offer in general business awareness, more specific entrepreneurship support can be provided if required; the IAD work closely with launch.ed (http://www.launch.ed.ac.uk/ – which supports students and staff through the commercialisation process). Come along to the courses and find out more information and start developing those business and enterprise skills! !